First there was the red-line announcement. 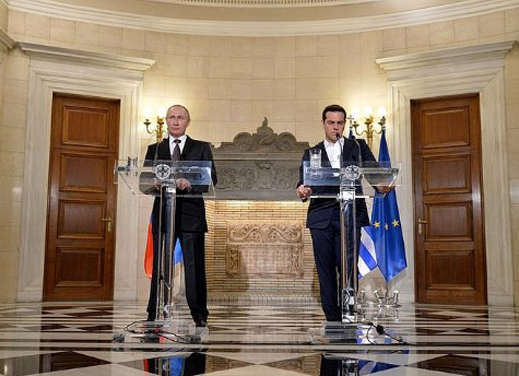 On Friday in Athens there was the cross-hairs statement. By the month of October, the month before the US presidential election, there will be the trigger point. The US and the North Atlantic Treaty Organization (NATO) allies are going to war with Russia, accelerating the inevitability that Russia will strike in self-defence. This is what the first and second statements by President Vladimir Putin warn. There will be no statement of warning when the trigger point arrives. At his press conference in Athens on Friday, Putin warned that the installation of an Aegis anti-missile base in Romania, operational this month, and the rush to do the same in Poland, are hostile acts, just short of casus belli — cause of war. To make this clear, Putin used a vivid phrase — быть под прицелом. 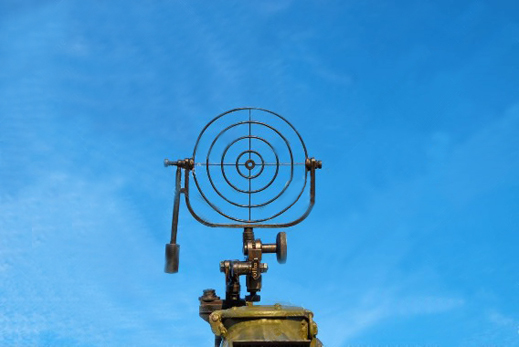 It refers to gunsights or cross-hairs for targeting army artillery, airforce cannon, or naval torpedoes. Putin was translated by Reuters as saying: “If yesterday in those areas of Romania people simply did not know what it means to be in the cross-hairs, then today we will be forced to carry out certain measures to ensure our security,’ Putin told a joint news conference in Athens with Greek Prime Minister Alexis Tsipras. ‘It will be the same case with Poland,’ he said.” Read the Reuters report in full. 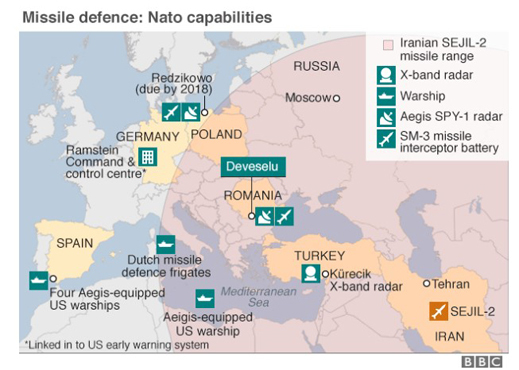 The BBC also reports the NATO claim that the range and firepower of the Romanian and Polish bases are too far apart and too limited in range to threaten a first-strike attack on Russia. In fact, as Putin announced on Friday, the Romanian and Polish batteries are capable of firing first, and at a range of 2,400 kms, to strike at Russian missile targets, before launch, as far as the line between the Plesetsk and Tyuratam missile command centres. 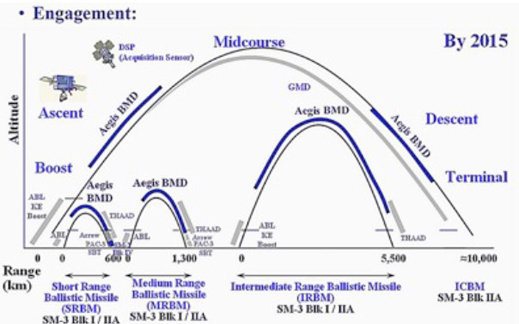 The range extensions of the Aegis system, operating both west to east and east to west, were mapped by the Federation of American Scientists (FAS) in a report of September 2011. Reach or range is the key. That was published in September 2011. 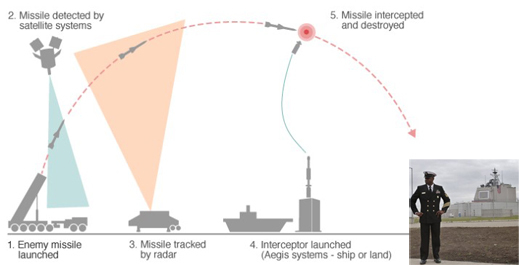 Since then, instead of restricting range and negotiating reciprocal assurances against first-strike attacks, the US has advanced its sea and land attack capabilities closer to the Russian border, and extended the potential range and precision of their firepower. For the Russian warnings to the close approach of US Navy missile warships, such as the USS Donald Cook, in the Black and Baltic Seas, read this from April 2014, and this from April 2016. For Putin’s red-line warning, read this. Last Friday, when Putin used “cross-hairs” in his warning, the Reuters report was an accurate translation of the Kremlin’s transcript in Russian. For soldiers and strategists on both sides, this isn’t exactly new. Like the Federation of Atomic Scientists, Russian think-tanks, government officials and military officers have been making such cautionary statements for many years. What is new is the precision of Putin’s speech, and the shortening of the time fuze. Read Putin’s full statement on the point: “What is the impact of security-related issues on economic cooperation, in particular, the commissioning of the US anti-missile defence deployment area in Romania? What is the impact? The impact is negative, and it cannot be otherwise. Because some time ago the United States unilaterally withdrew from the Anti-Missile Defence Treaty and started what amounts to undermining the fundamentals of international security. Yet another step has been made now. “Since the early 2000s, we have been persistently repeating the same thing, like a mantra: we will have to respond to it in some way. Nobody listens to us, nobody is willing to have talks with us, we do not hear anything but platitudes, and those platitudes mainly boil down to the fact that this is not directed against Russia and does not threaten Russia’s security. “Let me remind you that initially there was talk about thwarting a threat from Iran, it was all about the Iranian nuclear programme. Where is the Iranian nuclear programme now? It no longer exists. The Unites States themselves initiated the signing of the treaty with Iran. The Iranian nuclear threat does not exist, while the US anti-missile deployment area is being created and was commissioned in Romania. “What is this? These are launch pads and radar stations. Today, 500-kilometre range Iskander land-based missiles are being deployed; in a few years they will be 1000-kilometre range missiles. We even know the approximate date when such missiles will be deployed. How can this not be a threat to us? It is a clear threat to our nuclear forces. “However, there is something else that is even worse: these compact launch pads can accommodate assault missiles with a 2,400-kilometre range, and replacing the missiles is no problem, one only has to change the software, and nobody is going to notice anything, even the Romanians. Isn’t it a threat to us? It certainly is. “That is the reason we have to respond now, and if yesterday some areas in Romania did not know what it is like to be a target, today we will have to take action to ensure our security. Let me repeat, these are response measures, a response only. We were not the first to take such steps. “The same will be done with regard to Poland. We will wait for certain actions to be taken in Poland. We are not going to do anything until we see missiles on the neighbouring territory. And we have the necessary resources. You saw, the whole world saw our capabilities in terms of medium-range sea and air based missiles. 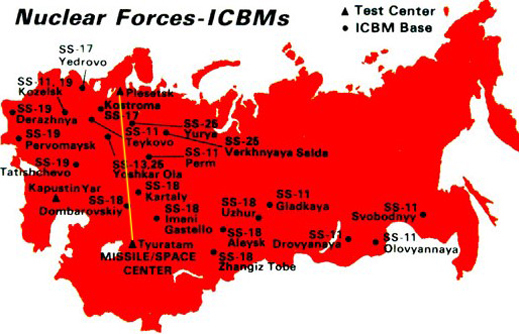 We are not violating anything, but the Iskander land-based missile systems have a brilliant record. There is almost no ambiguity. As Putin said in his red-line speech in March 2014, after the putsch in Kiev triggered the Crimean vote to join the Russian Federation, “there is a limit to everything. And with Ukraine, our western partners have crossed the line.” For analysis of the significance in Russia’s new war strategy, read this. Two years later, Putin is saying, not from the Kremlin, but from the entrance of Megaro Maximou, that Romania has crossed the red line, and is now inside the cross-hairs. The location for Putin to say this is not without significance. It has been the official headquarters of the Greek Prime Ministry since the Greek left came to power in 1982. It has also been a headquarters of two of the states which have occupied Greece by military force – Germany between 1941 and 1944, and the US until 1952. Expressed this way from the capital of a country crushed today by the occupation of the European Union’s forces, the invitation to the Poles is to save themselves before Poland’s time runs out, again. 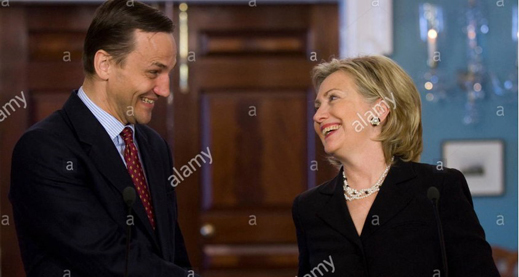 The original agreement for the Redzikowo missile base was signed in 2010 by Radoslav Sikorski(below, left) and Hillary Clinton (right). Sikorski was Poland’s foreign minister at the time. Today, stripped of all official posts, he is under criminal investigation in Warsaw, living in exile between the US and US, and dependent on his wife’s earnings from US government operations. Clinton is under criminal investigation in Washington, and in a close race for the US presidential election, due on November 8. It has taken two years of escalating warfare between Washington and Moscow before the cross-hairs warning. What then is the timing between now and trigger point? Where will the trigger be pointed, and how will it be pulled? The likely timing, according to Russian assessments, is the month of October. The history of the “October Surprise” by desperate US presidential runners to pull off a last-minute election victory is well-known. The last military operation directly connected to a presidential election was President Jimmy Carter’s abortive attempt to rescue the US Embassy hostages in Tehran in April 1980, and then the subsequent manipulation of negotiations with the Iranian government for their release. The last US war to fix the outcome of a presidential election was President Dustin Hoffman’s (below, right) war with Albania in the film, Wag the Dog. By October, the weak outgoing President Barack Obama will be prodded by the weak, failing Democratic Party candidate Hillary Clinton to rescue her chances and rally reluctant American voters against the Republican candidate, Donald Trump. The October surprise this year, Russians believe, will be a violent one. For cross-hairs this year, Albania doesn’t qualify. Clinton can’t afford another adventure in Libya. Victoria Nuland (beside, left), Samantha Power (centre), Michele Flournoy (right) — the women around Clinton, who will lose promotion and power if Clinton loses to Trump — have already tried and failed in Ukraine, Syria, Iraq and Turkey. Romania almost qualifies. But can and will the Russians assist Trump in his counterstroke — a Reagan-type, Tehran-type October surprise? In the weeks ahead, according to Krutikov, the trigger points are not where the strategic interests are greatest, but where the space for manoeuvre between Russian forces and their enemies is smallest. They are the Baltic and Black Seas. At their widest points, east to west, the distance in the Baltic is 193 kms; the Black Sea, 1,175 kms. In the narrows between the Romanian port of Constanta and the Russian naval headquarters at Sevastopol, the distance is just 392 kms. NOTE ON THE BENCKENDWARF SYNDROME: enemy capabilities are for Russian intelligence to measure. Gauging the intentions of the enemy is prone to the Benckendwarf Syndrome. Confusing capabilities by mistaking intentions is Benckendwarfism – this is the distortion caused by Russian policymakers who think they understand the British, Germans, Turks or the Americans better than their colleagues because they speak the language, are sympathetic to the culture, or have money, assets or children in their safekeeping. 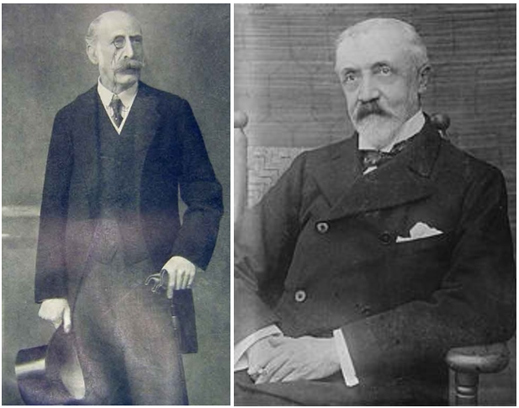 The syndrome is named after Count Alexander Benckendorff (below, left), the Anglophile Russian ambassador in London from 1903 to 1917. He dominated the pro-British line in Russian strategy — the Tsar’s as well as several foreign ministers’ — in the years and events leading to World War I in 1914. Just as dwarfish, but in favour of the Germans, was Baron Roman Rosen (right). In Anglo-American policymaking the syndrome is called Going Native. Putin himself has suffered from the syndrome; his enemies, not his friends, have cured him. For more details of Benckendwarfism, read Dominic Lieven, Towards the Flame, Empire , War and the End of Tsarist Russia, published last year.